Do you need any assistance? Get in touch with an expert at Advan! The most complete and practical systems for dental implantology, with quality certifications, entirely manufactured in Italy by Plan1Health s.r.l.. After more than 20 years of research as well as project and productive know-how, thanks to the ability to innovate and promptly follow-up to the growing needs of dentists, Advan s.r.l. developed an advanced product range known for its excellent quality, durability and competitiveness. Products are distributed to the most prestigious dental practices in Italy and abroad with the aim of offering them a considerable competitive edge to preserve the success of dental practices and enhance clinical professionalism. Excellent quality, excellent durability, excellent results. From osseointegrated implant systems to biologically integrated implant solutions: the GTB system lays the basis for the future of implant prosthodontics. A tried-and-tested implant design, a synonym for ease of implant positioning and guaranteed clinical result. 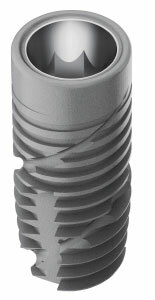 Cylindrical implant screw and screwed hexagonal implant-prosthetic connection. The MINIMAX system features mini-implants: they are suitable for edentulous areas of the mandible or maxilla to support single, fixed prosthetic elements or to stabilize removable dentures.